Please join Chartwell Family Network for the first official Chartwell Parent Night! Come to have fun, share a few laughs, and get to know your fellow parents! Please RSVP to Dawn at 650-740-0717 so we are sure to have enough nibbles. You can still join the study! 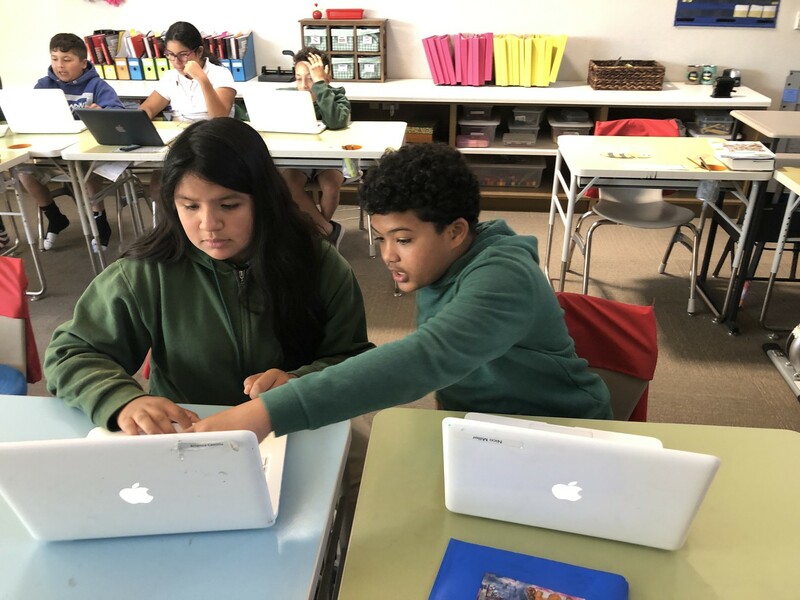 The Dyslexia Center is involved in the Phenotyping Study; this is the portion of the study where students go to the Sandler Neurosciences Center at UCSF for the fMRI, emotions testing, and a visual-spatial assessment. Also part of the study are assessments that are administered with UCSF staff at Chartwell. These assessments are scheduled after the UCSF visit. You can complete an application for this phenotyping study. Swati Sudarsan, the lab coordinator, will contact you when she receives your application. The second part of the study is the Program for Research on Neurodevelopmental and Translational Outcomes. "Outcomes" is led by Dr. Bob Hendren, with the UCSF Department of Psychiatry. Jessica Wahlberg is the Clinical Research Coordinator. She would like you to contact her to consent to the outcomes study which is the follow-up study to monitor strategies implemented by school based on the results of the study. She has asked that you respond to Felicia.widjaja@ucsf.edu or jessica.wahlberg@ucsf.edu to provide consent. As part of Project Period 3, students are meeting with Ms. Amaditz or Mr. Swift to review their learning profile and practice Cornell note-taking. All students who were present this week have completed their interviews. Please ask your student about their interview to help them practice talking about how they learn. Our local community colleges offer free concurrent enrollment for high school students. This can be a great way to explore a college class, get college credit in high school, boost one's high school transcript, and build one's confidence. Both in person and online classes are available at Monterey Peninsula College and at Cabrillo College. Historically, about 50% of our students graduate high school with some college credits completed. Please let us know if your student is interested in taking a college class this summer. March 29th marks the end of Project Period 3. For their final project, students will partake in a formal interview about their learning style. Students should bring or wear professional dress on that day, just as they would for a job interview. March 29th is a half day (with a noon dismissal) and lunch will be provided. March 29th is also the last day to turn in work for this Project Period/grading period. Students with missing work are encouraged to consider using the After School Program as a way to catch up with teacher support. The After School Program runs Monday-Thursday from 3:15-4:00pm and is included in tuition at the high school. Students have been talking about the recent so-called "varsity blues scandal" in which parents bribed and tricked colleges in order to secure admission for their children. Some families used bribes to secure diagnoses of learning variations and/or ADHD in order to secure accommodations on the ACT or SAT for their children. At Chartwell, we work hard to ensure that our students use appropriate accommodations on college admissions tests so that our students have the same access to higher education that typical learners do. In this way, we seek to level the playing field, not to give anyone an unfair advantage. For a thoughtful response to this scandal, please read the article below by David Flink, founder of Project Eye-to-Eye (and friend of Chartwell). Eye to Eye addresses the Varsity Blues scandal in a letter to the editor of the New York Times. If you're hoping to speak with Ms. LeValley next time you're on campus, head to the office directly behind Crissy's desk in building 200 (the yellow building). Ms. LeValley is in office 201E and she welcomes your visits! Grandparents' Day is next week on the 29th! Noon Dismissal and No Afterschool. Please contact homeroom teachers with questions or for more information. We are very excited to have our grandparents and special friends attend school! There will be NO AFTERSCHOOL the day before on the 28th. Makerspace has started on Mondays. Students can create using our computer lab, robotics center, or various centers in the Techhub. Parents must pick up by 4:30 pm. All matches are scheduled to begin at 4 PM and should finish around 6:30 PM depending on the pace of play. There will be no golf practice or matches during our Spring Break, April 1 -5. Track season has begun at Chartwell! Batya Fields and Topher Mueller will coach and supervise the students - with John Lukin's help as athletic director. PRACTICES will be during the school day lunch recess on Mondays and Wednesdays. Here, students will learn field events, relays, and strategies for sprint and long distance. We'll also offer OPTIONAL Thursday after school practices until 4:30PM (when there are no meets) starting next week the 28th. If you are interested in this, you must reply before this weekend. My hope here is that students may have access to the CSUMB track, though that is not yet guaranteed. TRACK MEETS are on Thursday and Fridays, and we will be able to transport the team after school, or you may drive them. On March 27th, the Robotics team will leave at lunch for a field trip to the Institute for the Future's Emerging Media Lab. The energy on campus was contagious, everyone had smiles on their faces all day long! A picture tells a thousand words! Mrs. Purganan's class is learning about the Civil War. They sang John Denver's Take Me Home Country Roads to help connect to the text. The Lower School students attended the Lion King, Jr. on Tuesday at the Airel Theater. Students enjoyed the performance tremendously. They reported that they loved the music and the set design. They wished that there had been more scenes like the movie and that the lion's costume was more "liony." 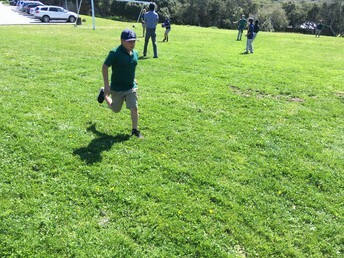 At Community Meeting the students participated in a Kickball Match. 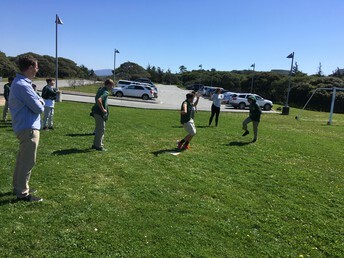 The students are divided into four teams and play each other. It was a beautiful day and the kids had fun on the field participating or watching the game. Parent conference week was very successful! It was wonderful meeting with all of you, sharing progress and formulating plans for next steps. Thank you always for your support! Beginning next week, on Mondays after school, the Makerspace will be open until 4:30. Students can create using our computer lab, robotics center, or various centers in the Techhub. Parents must pick up before or at 4:30 pm. The Chartwell Golf Team is beginning. Students can still join! Practice will be at lunch on Tuesdays and Thursdays on the soccer field. After school practice on Tuesdays at Bayonet & Blackhorse for about an hour. Please contact Coach Postadan for more information. Throughout the season the team will work on the fundamentals of golf, rules of the game, good etiquette and sportsmanship. Matches are scheduled for 4 PM. Spring Track is beginning for 6th-8th graders. Practices will be held Monday and Wednesday during lunch recess and an optional afterschool practice on Thursdays until 4:30 pm. Meets will be held on Fridays. Dates will be posted soon. Please contact Coach Mueller for more information. Mark your calendars: There will be a BX and Mental Health Parent Workshop with Vivien Keil of CHC on March 22nd in the library after drop-off from 8:45-10:15 am. More details soon! These workshops are excellent and have been well attended in the past. Homeroom Dress Alike Day is next week on March 20th. More information from teachers coming soon! Grandparent's Day will be here before we know it on the 29th! Please contact homeroom teachers with questions or for more information. We are very excited to have our grandparents and special friends attend school! 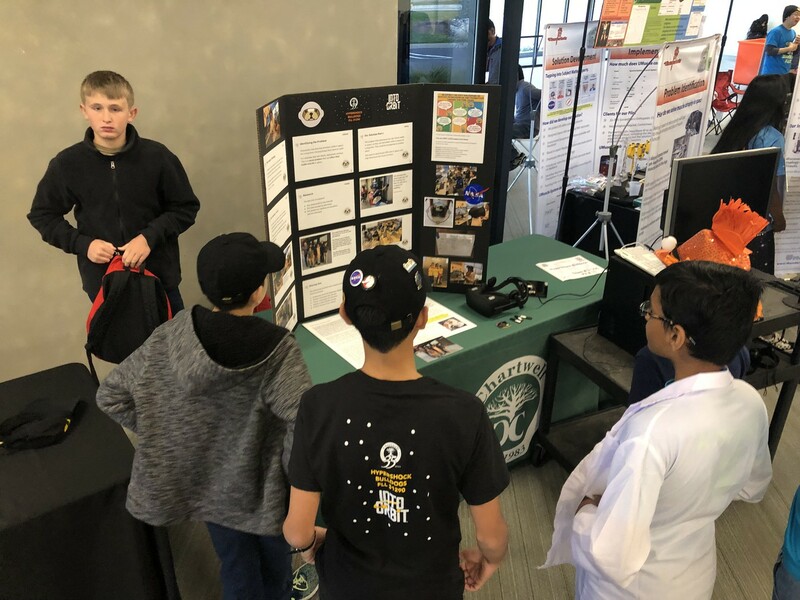 Upon arriving and competing at the Global Innovation Expo at Micron Technologies in Milpitas, the students presented among 35 teams. They shared their progress in the team project, which included a 3D-printed attachment for the Oculus Rift that delivered scents matching the virtual reality (VR) experiences the team developed. Users could insert "scent cartridges" which would complement the experience they were engaged in, such as a VR video of the oak forest around Chartwell or nearby Seaside Beach. Although the judges were impressed by the invention, the team was not chosen to advance this year. 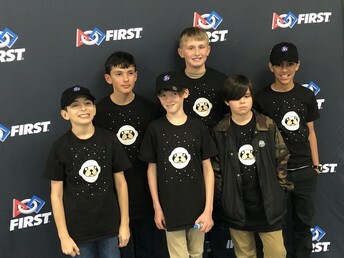 Our Hypershock Bulldogs robotics team will wrap up this successful season with a field trip on March 27th to the Institute for the Future (IFTF) Emerging Media Lab in Palo Alto, where they will experience advanced technologies around virtual and augmented reality, and explore how human communication is advanced with these innovations. 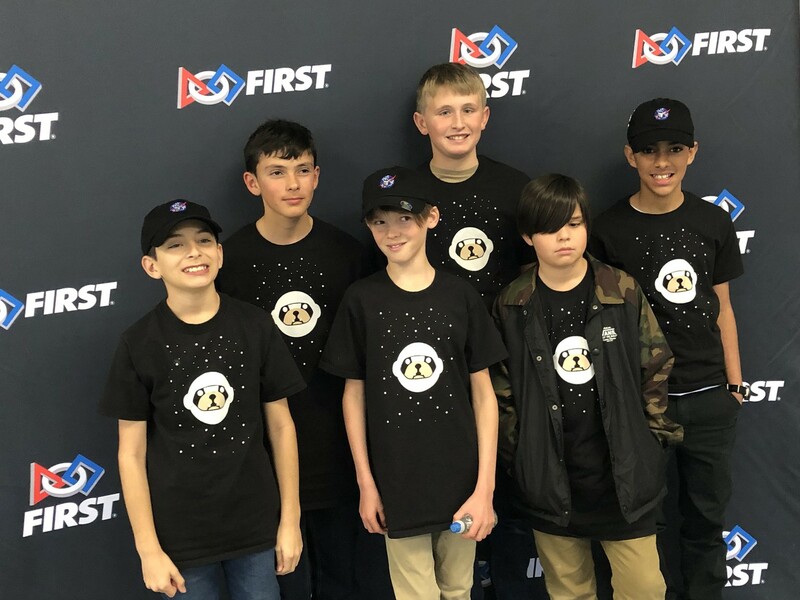 Way to go, Chartwell Bulldogs! The students in Ms. Kanaski's class independently researched a region of the thirteen colonies. 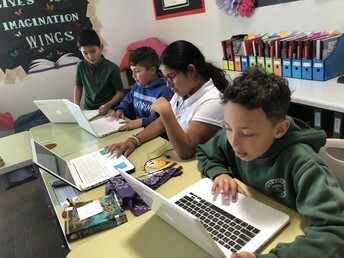 After, they worked with group mates to complete a graphic organizer in Google Classroom. They worked well, sharing their information to prepare for a collaborative presentation. 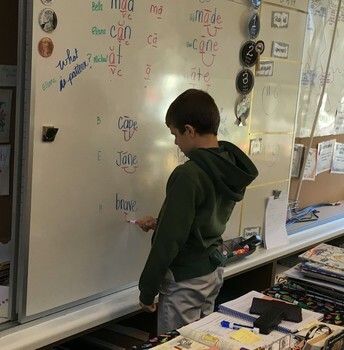 Students in Mrs. Garcia's class work at the whiteboard to code large colorful vowel consonant-e words during Structured Literacy. 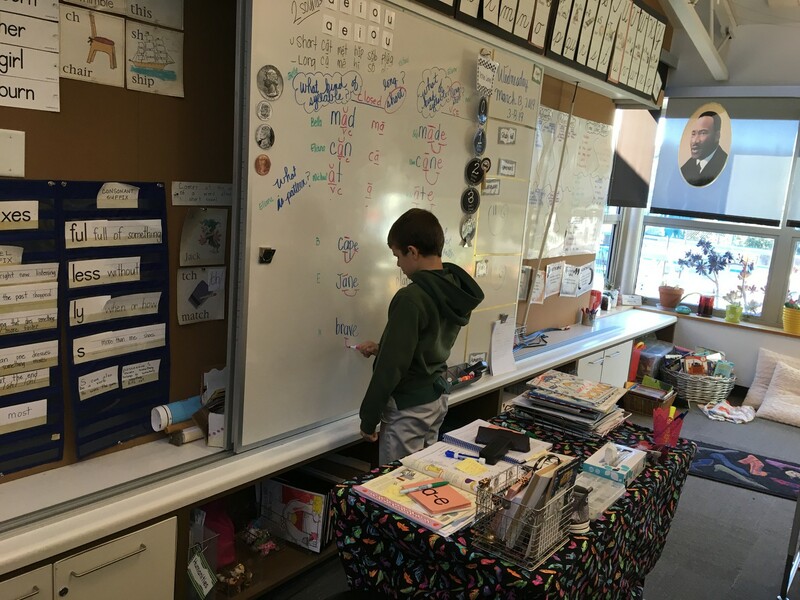 The Orton Gillingham approach incorporates visual, auditory, and kinesthetic learning into each structured lesson. Ariel Theater Production of The Lion King, Jr.
At Community Meeting the lower school students engaged in an activity to learn more about other students in their community. They completed a Bingo Board with information from students in other classes. 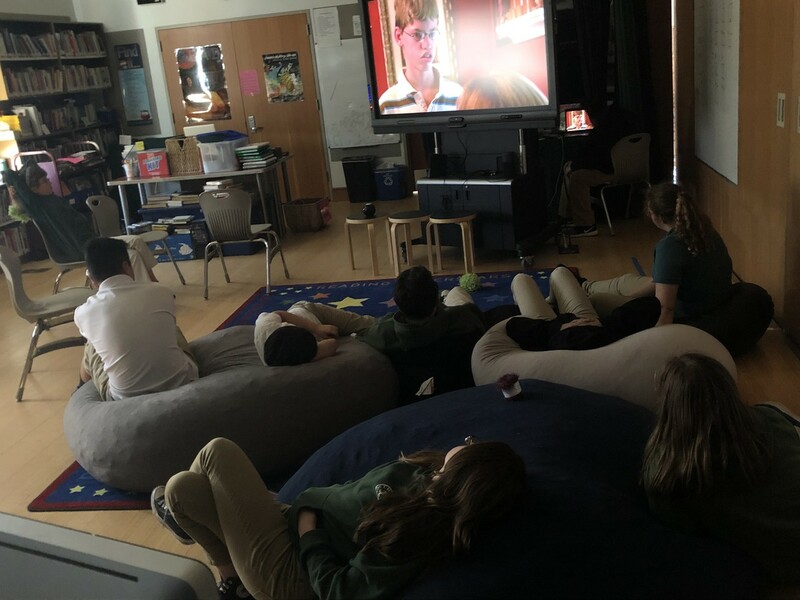 Middle School students watched the movie Bully this week in STEAM with their teachers and our school counselor, Carolyn Kelleher. Additionally, during Community Meetings, groups of middle school students have been meeting each week with teachers to watch short videos of the positive and negative parts of social media. Teachers then facilitate discussions with the students to give them the opportunity to reflect on the actions that were taken to produce each outcome (positive and negative). Next Friday, March 22nd, we will welcome professional career coach Mary Jeane Vincent to campus. She will give a presentation to our students about interview skills and strategies with a focus on interviewing with confidence. Students will be able to use her advice during their final project period interviews. The teachers met with all students this week to review the final project for Project Period 3, which focuses on the brain. Each student will meet with Ms. Amaditz or Mr. Swift to review their own psycho-educational evaluations (or other assessments) in order to learn about their learning profile. Students are taking Cornell notes based on those meetings. In classes, students have been learning about (and writing about) the anatomy and functions of the brain. For their final project, students will partake in a formal interview about their learning style. These panel interviews serve as excellent practice for future college or career interviews and thus have real-world applications for our students. Interviews will take place on the last day of Project Period 3, which is Friday, March 29th. Students should bring or wear professional dress on that day, just as they would for a job interview. March 29th is a half day (with a noon dismissal) and lunch will be provided. Students seeking work permits are encouraged to see Ms. LeValley. It's an easy, three-step process. Students under age 18 are required to secure a work permit according to the California Department of Education. Our ACT testing window for juniors runs April 13th-May 4th. We will contact families as soon as we hear back from the ACT regarding approved accommodations. We typically apply for "testing over multiple days" for all students, and we seek additional accommodations based on student learning profiles and specific psycho-educational evaluations. The California Highway Patrol Explorer Program will be hosting an orientation on Saturday, March 30th, from 1:00-4:00 PM at their office located at 960 E Blanco Road in Salinas. Previous students have been impressed with this program and it's especially relevant for any teenager who may be interested in a career in criminal justice. Call 831.770.8000 for more information. The school is buzzing with the excitement of school-wide parent-teacher conferences. It is a special time of year when teachers get to share with you the amazing progress our students have made. We are so proud and thank you for your support! Mrs. Garcia’s class, Ms. Penn’s class, and Ms. Kanaski’s class will be going on a field trip next week to the Ariel Theater on Tuesday, March 12th. This is an annual event which has been described as a truly exciting musical adventure! 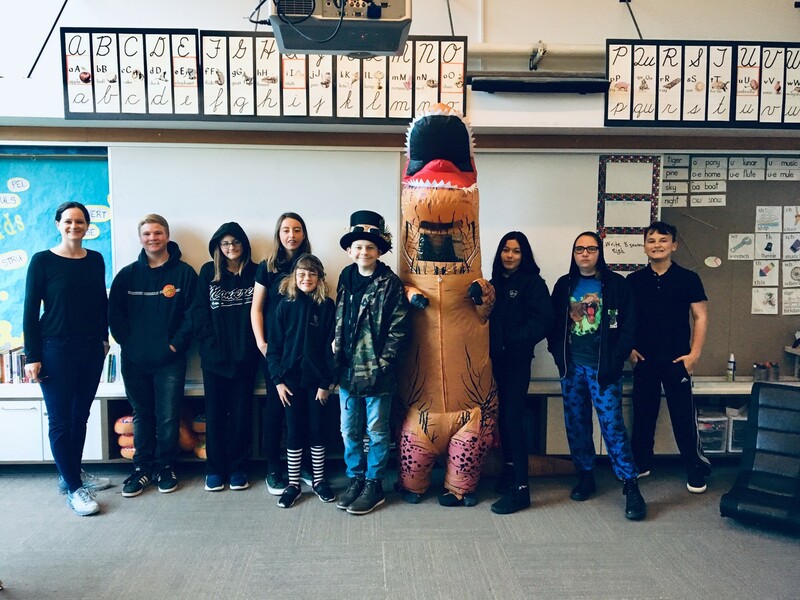 This year’s performance is The Lion King Jr.
Mrs. Kirshner’s art classes are creating Up balloons that will be displayed with each class's writing in the hallways of our school. Students were inspired by an adventure that they have taken or would like to take in the future. Mrs. Gaughf’s students are writing sentences with sight words in Structured Literacy. What beautiful cursive writing in those dictation notebooks! Pickleball Mania has overrun our school! 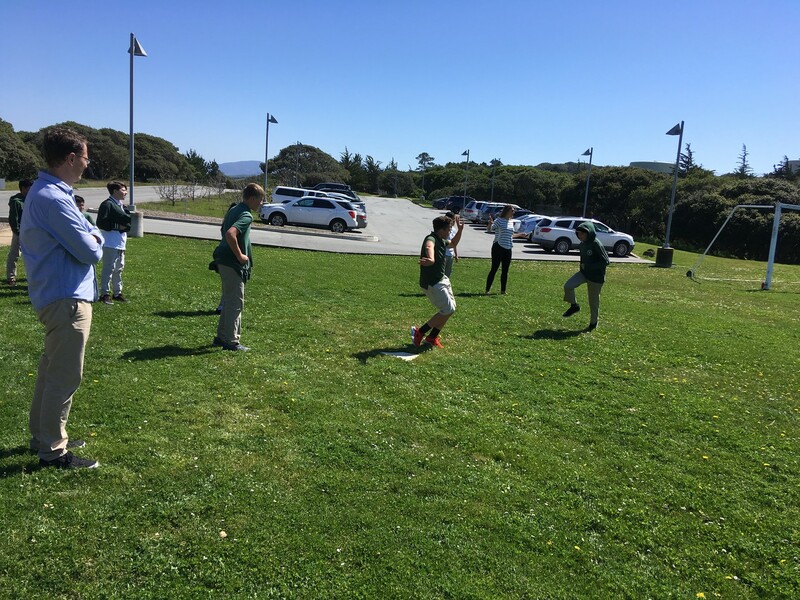 From the youngest students through high school, Mr. Lukin’s PE classes are enjoying learning this new game. Kids have been playing during rainy day recess too; they can’t seem to get enough! 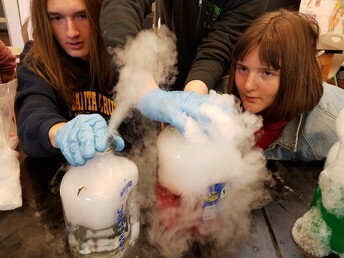 Spring break can be productive time for high school students. If your family is going out of town for our break in early April, consider touring a nearby college. Every college tour helps students refine their personal criteria, which helps them make educated choices when it’s time to pick one. 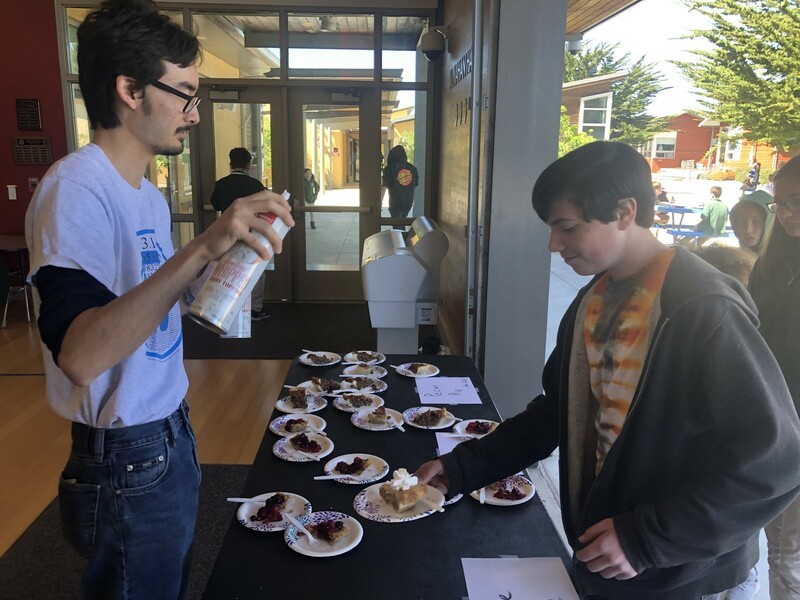 Various gap programs such as the National Outdoor Leadership School (NOLS) and Rustic Pathways often offer spring break options for teens that focus on service, learning, leadership and/or outdoor adventure. Spring break is also an excellent time to volunteer in an area of interest or to apply for summer jobs. Please let us know if we can help with any of these options. Last week all juniors met with our independent education consultant, Duffy Grant, and with Ms. LeValley to begin working on post-high school options and to discuss options in higher education. Juniors will have at least two more such meetings before the end of the school year. Juniors will take the ACT this spring. We have study tools in room 403 that juniors are welcome to borrow and the ACT website offers sample tests and many free test prep materials. Beacon College, which primarily serves students with dyslexia and/or ADHD, has announced their summer classes for rising high school juniors and seniors. Their “Summer for Success” program may be a good option for students seeking a college experience (and skill building) prior to actually leaving for college. Reminder: Please let us know as soon as possible if your child cannot attend our May 3rd-May 4th overnight trip to San Francisco to visit the University of San Francisco and EdRev Expo 2019. Please note that Saturday April 13th will not be a school day, but Saturday May 4th will. We are all looking forward to parent-teacher conferences next week. Please refer to the conference links to schedule or view your conference. **Reminder: Dismissal is at noon for all students. There will be no after-school program on March 6th, 7th, and 8th as teachers will be in conferences. We are very excited to welcome new families to our learning community! The Crain Family joined us last week; Seamus in Ms. Kanaski’s class and Lilia in Ms. Penn’s class. The Orlowski Family is joining us this week; Enzo will start in Mrs. Chavez’s class tomorrow. Tilly Garcia is starting on Monday in Mrs. Purganan’s class. It is almost spring and, believe it or not, our last trimester started this week! Students will change clubs the Friday after conferences. They started choosing their new clubs today: American Sign Language; Legos & Building; DuoLingo (Foreign Language); Leadership; Extreme Biking; Mindful Coloring; and, MakerPlay TechHub. Last trimester Mr. Swift led these students and more on a hike during club time to find nature. They used these found materials to create art for others to discover. 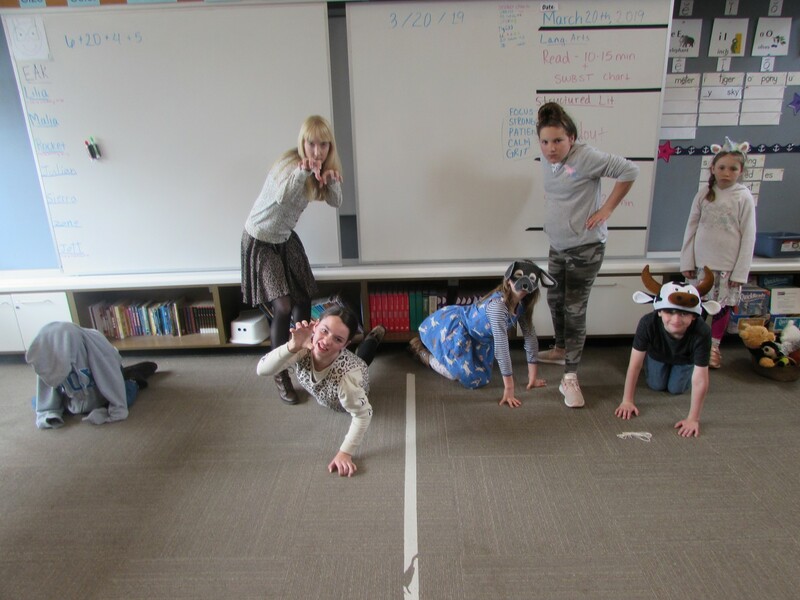 Ms. Kanaski’s math class used a life-sized grid to engage in kinesthetic learning as students played an intense game of Battleship with x and y coordinates! Mr. Mueller and Ms. Fields created a design challenge in STEAM where students used the least amount of index cards and staples possible to build a tower to support 2x4s. Coming up: Homeroom dress day will be March 20th. Students in each homeroom will dress the same as one another. Look for more information from homeroom teachers as the date approaches. Midyear conferences at the high school are optional. We encourage you to attend a midyear conference next week if you choose, but we fully understand that for some families, the Project Period 2 reports you received in January may function sufficiently as a check-in. We do hope to see all families at our end-of-year conferences in June. May 3rd-May 4th the high school will take an overnight trip to San Francisco. We will depart by bus at 8:00 AM on Friday, May 3rd. We should be back around 6:00 PM on Saturday, May 4th. This trip will include a college tour (University of San Francisco), cultural activities and a family style dinner on Friday. On Saturday, we will enjoy an empowering day at AT&T Park for the EdRev Expo 2019. This is a one-day event for students with learning variations. It includes educational sessions, exhibit hall, live music, outdoor activities, and a chance to be on the field at AT&T Park. This is a school day and counts as such. If your student cannot be present, please let me know as soon as possible so I can adjust our hotel reservations. Our school calendar originally marked Saturday April 13th as a mandatory school day for high school students, as this was our best estimate of when EdRev might occur. However, EdRev will occur May 4th. Please note that Saturday April 13th will not be a school day, but Saturday May 4th will. This is a good time of year for students to start thinking about summer jobs. The Monterey Sports Center is currently hiring teens for summer as is the Santa Cruz Beach Boardwalk. 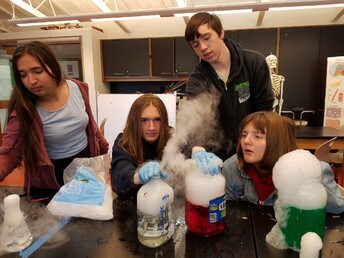 Many colleges offer summer programs for high school students. This can be an ideal way to experience a college campus, and in some cases, earn college credit too. For example, Champlain college’s pre-college program offers a young writers workshop, an art and design course, a cybersecurity academy, and game academy. This is just one example. If your teen has an interest in a particular college or subject, let Ms. LeValley know so she can research options. The Queer, Trans & Allied Student Summit Spring 2019 will be held this Saturday (March 2nd) from 9:00-2:00 at Lakeview Middle School in Watsonville. All LGBTIQA middle and high school students are welcome. There will be workshops, opportunities to meet local leaders, and the chance to work with other youth who are dedicated to creating safer schools. Please contact us with any questions. Have a great Friday and weekend! I hope everyone enjoys the next several days as a mini winter break. School resumes Wednesday, February 20. 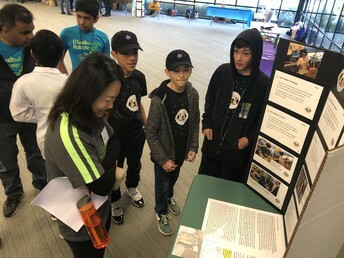 Check out this video of two Chartwell homerooms at the Chevron STEM Zone field trip during the ATT PRO-AM last weekend! Click here to watch on YOUTUBE. Some say Facebook is the Evil Empire, but our Facebook Page is THE BEST. Worth a few swipes down the feed to see lots of cool pictures and things happening at this great school! A special Shout Out to our Chartwell High School Senior Class, who so far have seven college acceptances amongst them!!! Family Network: Run by families for families! We welcome new and existing families to the Chartwell community, generate potential new workshops, and create new ideas for future family and social events. Join fellow Chartwell parents in McMahan Hall for this community-building event! Parent Conferences are coming in 3 weeks! 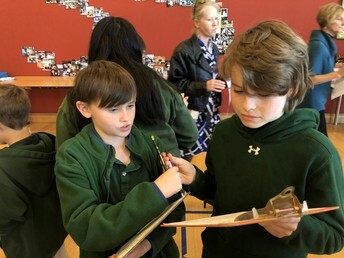 The Lower School Report Card includes a course description and a checklist. The checklist notes student development on specific skills using a scale assessing the level of mastery. The Chartwell philosophy is to teach to mastery, as opposed to covering content. At the top of the Report, there is a key explaining the scale. The Report Card also includes a summary of attendance and the Work Habits Checklist. This part of the Report Card is an important part of the holistic program at Chartwell. It represents on-going observations of your child’s “non-cognitive” skills, that is, those habits of heart and mind that are foundations for success in school, college, work, and life. Much of the daily work of Chartwell teachers involves creating conditions for your child to experience success in growing these habits. For more information about non-cognitive skills, scroll to the bottom of this email. This is a VERY FUN Family friendly way to raise money for student activities like FUN DAY at Chartwell. Sign up! The race is on Saturday, April 27. The Monterey Sports Center has started hiring for summer. These are great jobs for students who are 16+. Applications are due March 15. High school students are required to get a late slip from the front desk (Crissy) if they arrive to school late. This is information I’ve shared before representing the “underground,” daily, and arguably most important work with your child. Sustained faculty professional development at Chartwell revolves around a deep understanding of the Growth Mindset as first researched and defined by Stanford Professor Carol Dweck. Teaching the Growth Mindset is where the “rubber hits the road” in the daily learning conversations Chartwell Faculty have with your children. It’s less about a program and more about living it through experience, both positive and negative and “coaching” of students from teachers. This is a part of the Lower School Student Report, marked 3 times per year and reviewed at the Parent-Teacher Conference. The high school embeds these concepts in Advisory. 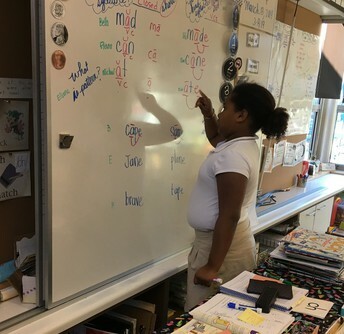 Lower School homeroom teachers review this with students during Flex time and use worksheets to help students set goals. See the research of University of Pennslyvania Professor Angela Duckworth. And more Professor Duckworth here. Click here for the email directory for all teachers and staff. Last week I traveled to a school in the Bay Area called Northstar School as part of a WASC Visiting Committee. I spent 3 days in a unique and cohesive learning community and my work there provided me with a moment to reflect on the Chartwell learning community. For 35 years Chartwell School has served students who think and learn differently and today we remain true to our mission and our “learner outcomes.” The learner outcomes guide teachers as we first seek to understand our student’s distinctive learning profiles, understand skill gaps, and then plan individualized instruction. The learner outcomes continue to guide us as we teach diagnostically, meaning we adjust what we are teaching and how we are teaching it, based on how the individual student is responding. Take a look at our Learner Outcomes here. 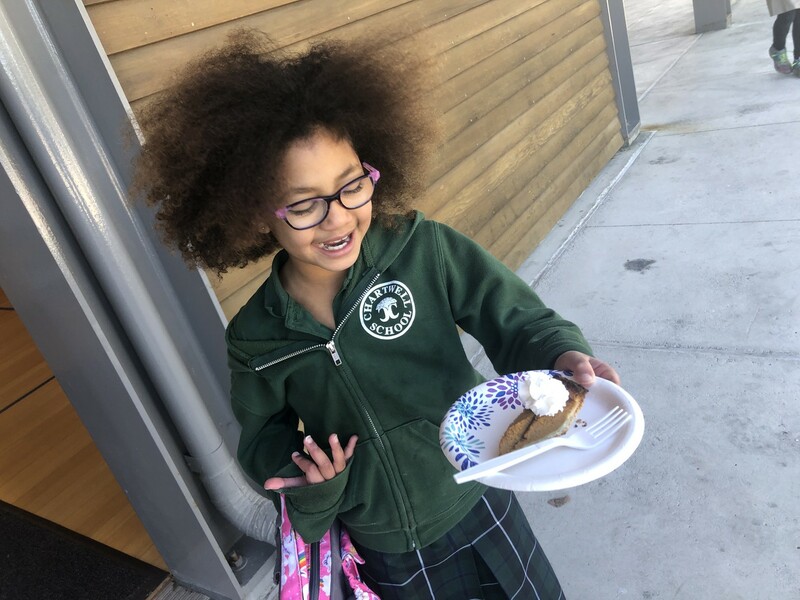 · A picture is worth 1,000 words and Chartwell School is alive every day in our Facebook and Instagram streams. Welcome back Alyse LeValley! Alyse has returned from maternity leave. Alyse and I will be working closely together with high school students and teachers. Alyse is your first point of contact regarding questions and concerns. Her email is alevalley@chartwell.org. I will work with Alyse and the HS Faculty guiding students in social and emotional learning, as well as managing the inevitable challenges that arise with poor choices and social challenges. I am most excited to be working directly with HS teachers in their capacity as Advisory developing an engaging and thought-provoking series of talks and group discussions related to personal emotional growth and strategies for building social skills for success in school and life. 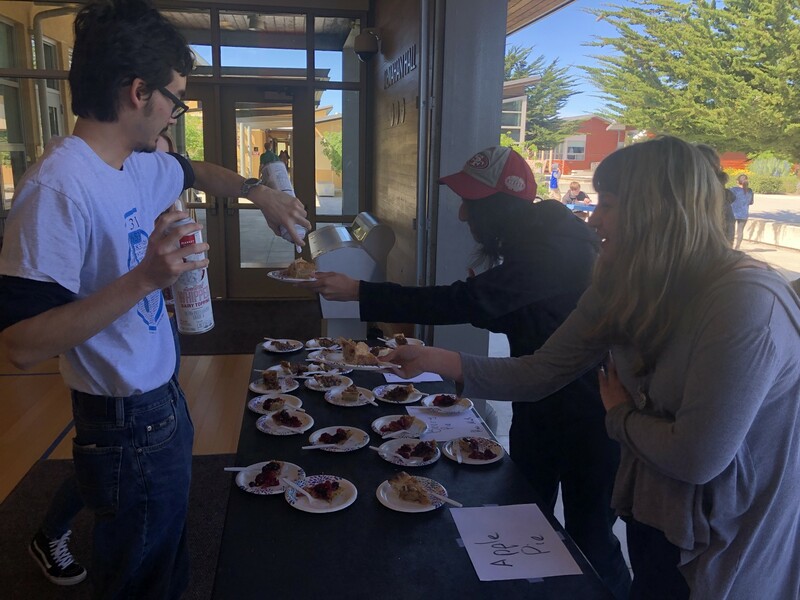 · High School students and teachers will travel to the UCSF Dyslexia Center. · Students will go the Emotions Lab in the morning. In the afternoon students will go the Neuroscape Lab. · We have two really good teams this year exhibiting the best of Chartwell: building skills, competing, showing perseverance and having fun! · Check out the main page of our website for upcoming games. · Contact your HR teacher for more information. I hope everyone had a wonderful three-day weekend! At the Lower School Community Meeting last week, I talked about the important contributions of Dr. Martin Luther King, Jr. When I teach high school history, I make the argument to my students that Dr. King is a Founding Father. Certainly, when you read his speeches, he speaks powerfully to the most fundamental American Ideal expressed in the Declaration of Independence, that all people are created equal. Teachers had classroom activities that explored his legacy. I was fortunate to substitute for Mr. Whitman last week and he had prepared a reading comprehension lesson from Scholastic News that featured an interview with Dr. King’s granddaughter. The article was unique in that it presented Dr. King through the eyes of a new generation. · What is the Way of Council? How does it relate to other SEL programs at Chartwell like RULER? Why do we feel it is important to include as part of Chartwell School? These questions and more will be addressed by me and Danielle Patterson. · Friday January 25 from 1-2 PM in the Library. · We will live stream the talk on our Facebook page. · The workshop will be followed by the Parent Discussion Forum. After each Chartwell workshop, parents convene to continue a discussion on the topic. Chartwell provides child supervision during this time. This week and possibly early next week, I will meet with HS students in Advisory groups, leading a discussion on empathy. We will watch this short video (click here) then I will lead a Council discussion inviting students to share a time when they felt the power of empathy or other thoughts related to sympathy and empathy. · Students will go to the Emotions Lab in the morning. In the afternoon students will go the Neuroscape Lab. · We need to leave very early as we must arrive in SF by 9:00 am. Expect an email with more details by the end of the week. Over the last two weeks, we’ve conducted a “soft opening” of expanded library days and hours. The library is now open every recess and lunch, except Tuesdays, due to Music class. Activities include reading and looking at books, legos, card games, coloring and drawing, sitting in the bean bags, and asking questions of the magic eight ball. We are also starting new library subscriptions to popular kids magazines for student enjoyment. · Games will start at 3:45 and 4:45. The High School has completed the first week of Project Period Ⅲ, The Brain. The project is exploring the question: How can learning about my brain help me be successful in life? Students will explore this question in their classes from different perspectives and will travel to UCSF Dyslexia Center as part of the project. They will review several books and read articles related to neurodiversity, exercise and the brain, creativity, the effect of mindfulness and meditation on the brain, and more. 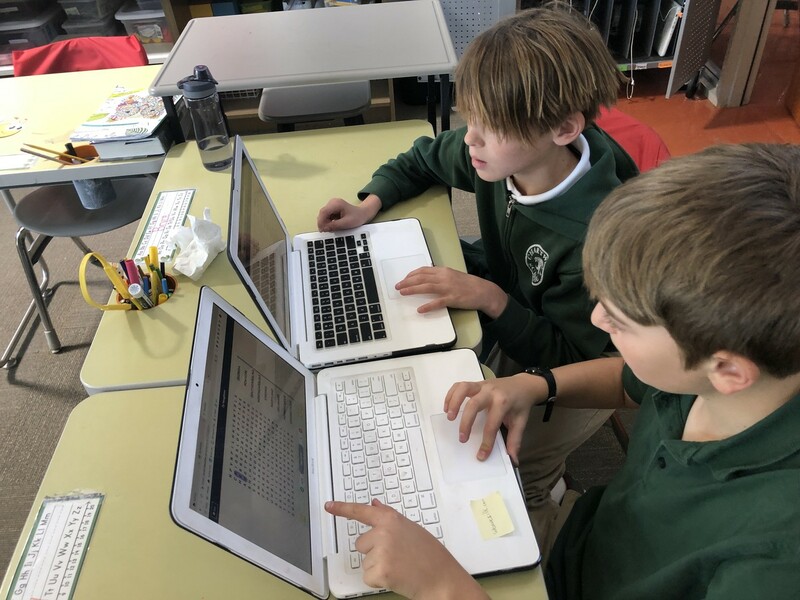 Students will journal about their experiences, examine data surrounding brain research and learn analysis strategies to identify trends Students will also have individual consultations with Academic Director Jodi Amaditz where they will review their Chartwell student learning profile. Students have the opportunity to participate in a Yoga Club and will also learn and practice Mindfulness strategies with a guest teacher during Community Meeting Friday. Project Period Ⅲ will culminate in a Presentation of Findings where students will answer the project’s question through individual presentations during a public Exhibition in McMahan Hall. More information will be forthcoming about the field experiences and the Project Exhibition. At the parent coffee last Tuesday we reached a consensus that Chartwell should do more to inform you about our integrated social-emotional learning program and about Way of Council in particular. 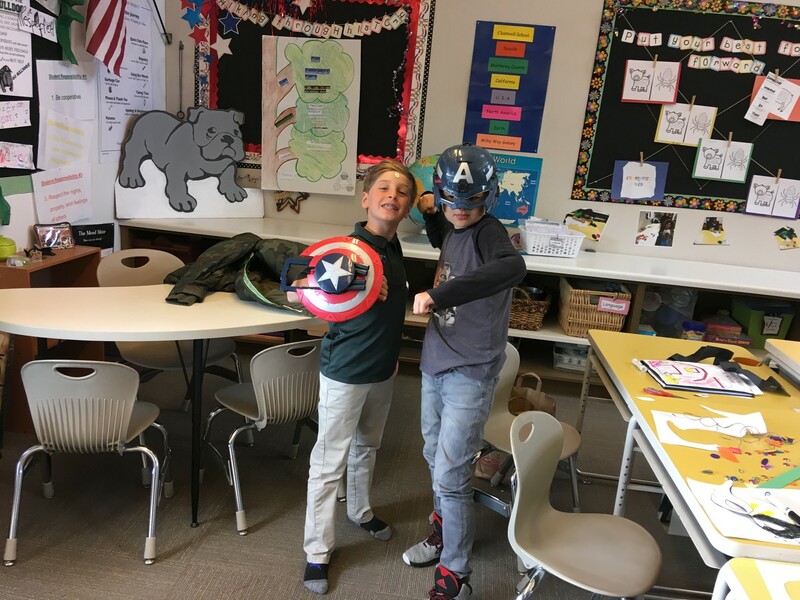 I wrote about the Way of Council in the Bulldog Bark earlier in the year and teachers in both the Lower School and the High School have been incorporating Council into their Homeroom and Advisories. I’ve used the Council format and protocol in both Lower School and High School Community Meetings. What is the Way of Council? How does it relate to other SEL programs at Chartwell like RULER? Why do we feel it is important to include as part of Chartwell School? These questions and more will be addressed by me and other members of the Chartwell Team in a Workshop on Friday, January 25 from 1-2 PM in the Library. Additionally, we will live stream the talk on our Facebook page. I hope you will join us and I thank the parents at last week’s monthly Coffee with Kate event for suggesting it. The Middle School boys and girls basketball teams won their first games last week. Boys Coach and HS teacher Randy Postadan talked to the boys after the game about how their win exemplified what he called “Bulldog Basketball.” Mr. Postadan explained that Bulldog Basketball is the combination of 3 “C’s” Communication, Competitiveness, and Character. As I listened to Coach Postadan, it occurred to me the three C’s of Bulldog Basketball is analogous to Chartwell School’s overall goals for our students. Communication is required for self-advocacy. This is an important skill we seek to grow in our students so they understand who they are as learners and appropriately and effectively advocate for themselves as they make their way forward in school and life after Chartwell. Competitiveness is a mindset of perseverance, and perseverance through challenges is a critical aspect of self-development for our students. Finally, Character is sometimes described as what you do while others are not looking; character is a sum of your habits over a period of time. We hope the character of our students includes a core personal belief in a vision and belief in their own potential - a potential that is not limited by difficulties in certain specific academic skills. At Chartwell, teachers help students learn that they be successful in school, and with perseverance, advocacy, and support, or communication, competitiveness, and character, they can formulate and achieve a vision of themselves that is not bound by previous limitations. As a teacher or school leader at Chartwell, I aspire to this vision of the Chartwell Way. Click here and check our website for upcoming boys and girls basketball games. On behalf of Kate and the Chartwell Faculty and Staff, I wish you a happy New Year and hope your holiday season was filled with joy and special moments with your children, extended family, and other friends. I am writing to let you know about two new teachers joining our team. Ms. Batya (Bah-Ta-Yah) Fields is joining the Lower School Faculty in the STEAM Department. Batya is a graduate of the University of California and has a Masters Degree in Environmental Science. She taught science at All Saints School and MEarth in Carmel. Batya also coached volleyball at Santa Catalina and served as a judge for the Monterey County Science and Engineering Fair. 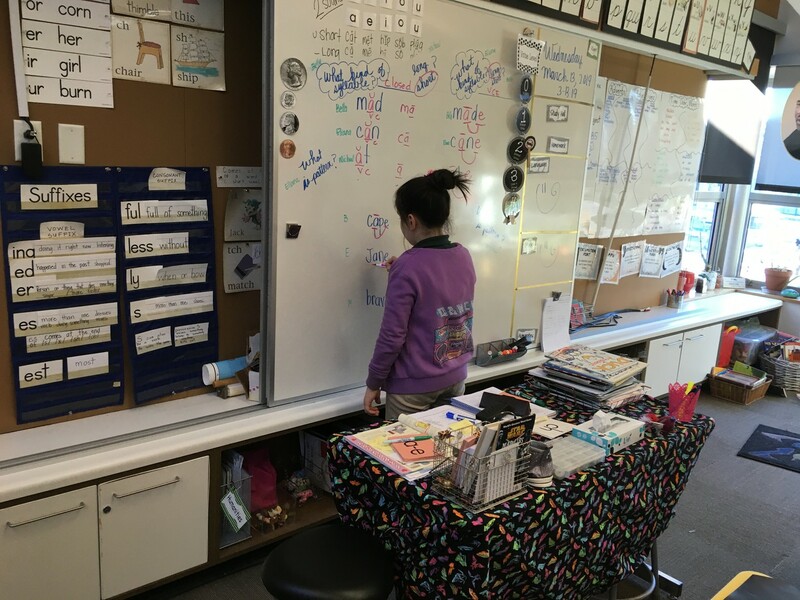 Many of the students met her in early December as she spent several days at Chartwell in a process including classroom observations and teaching a demonstration lesson. 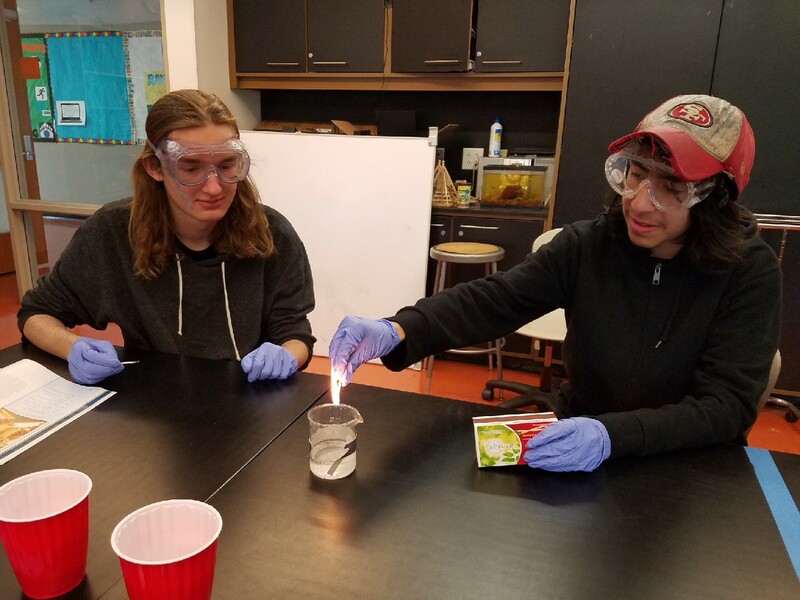 Batya will teach with Mr. Mueller and Mrs. Kirshner in the Science, Art, and Technology wheel for the Lower Division students and will also teach a Middle School STEAM class. Ms. Rebecca Llach-Gonzalez is joining the High School Faculty. Rebecca is a graduate of Hunter College in New York, has a Masters in Education, and a California Special Education Credential. Rebecca is a veteran special education teacher with more than a decade of experience, much of which is in a high school setting. Most recently she spearheaded the development of a new academic high school program at Spectrum School in the Bay Area. 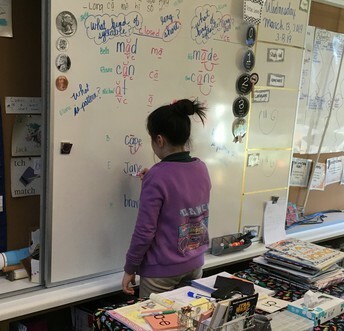 Some high school students met her in December when she observed other classes and taught a demonstration lesson. Rebecca will teach Literature, World History, and Economics. She will also take over Mr. Blossom’s Advisory. Mr. Blossom will not rejoin the HS Faculty as a full-time teacher when we resume classes on Tuesday. John is returning to his passion for writing and will restart work on a publication he is developing about project learning. We were fortunate to have such a capable hand as John augment our team for the first semester. Having developed and taught 18 project periods when I was a member of the HS team, I can say John’s work in producing Project Period 2 was truly exemplary. Many students will reflect back on their work in that project as deeply formative toward their understanding of themselves and their capabilities. Please join me in thanking Mr. Blossom and wishing him well. John will remain in the Faculty as a substitute teacher and I suspect we will see him around the school. Finally, a significant family situation has arisen requiring Kate to spend next week away from school. I have the happy pleasure to fill in for her at Tuesday’s Parent Coffee! Please join me for a cup of java at 8:30 AM and I can provide my perspective on the Chartwell learning community, education, and more. In addition to the parent coffee on Tuesday, I will also host a meet and greet with new Chartwell teachers Batya and Rebecca in McMahan Hall on Friday, January 11 from 1-2 PM (just before Friday early dismissal at 2:00 PM). I hope 2019 is a year of growth and success for your child at Chartwell School. We deeply appreciate your trust in us and we are resolved to continue our dedication in creating the best possible learning environment where your child can grow into his or her full potential. And don’t forget, school starts on Tuesday, January 8th! Happy Holidays! I hope you are enjoying this wonderful time of year with your children. Don’t forget to donate items to the Chartwell Food Drive. We only have a few more days and there is still a bit of room left in those barrels! Also - the last day of School is Friday 12/21 and students are dismissed at 12:00 pm. o Monday 12/17 is a special themed School Spirit Day! o Wednesday 12/19 Free Dress Day! § See below for guidelines on Free Dress. o Friday December 21 - Pajama Day! o The list of suggested food includes: soup, chili, stew, tuna, chicken, ham, beans, vegetables or fruits; non-breakable jars of peanut butter, jelly, fruit juice; bags of rice, noodles, ramen, pasta, beans, flour, sugar, Harina de Maiz, etc. o You may also want to make a tax-deductible cash donation to the Food Bank; for every $1 donated, the Food Bank can provide $5 worth of food. · Lost and Found - Sweatshirts aplenty! o Next week we are going to be hanging up items from the lost and found. o There are a lot of sweatshirts! o Please come early to pick up or stay late after drop off and see if there are any of your child’s items in the lost and found. o There is no after school homework program for the lower school Thursday and Friday. 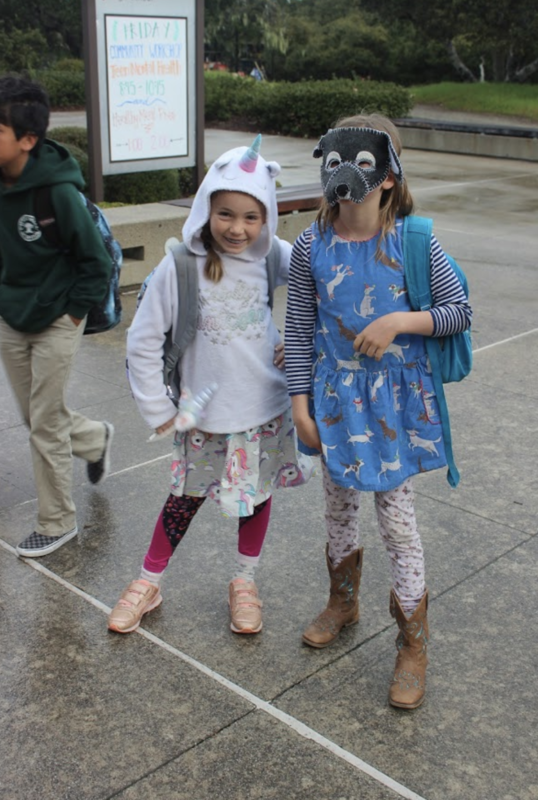 · Free dress days will be designated randomly throughout the school year in addition to the last Wednesday of each month beginning in September. The dress code on free dress days is the same as the dress code that is followed during the summer session. Students who receive notification of 2 or more dress code violations during any given month will not be eligible for free dress that month. · Pants - any pants, shorts or jeans as long as they are not too baggy, too tight, ripped or torn. Capri pants and shorts are fine, but no short shorts please. Skirts are fine, but no mini-skirts. Pajama pants should not be worn on regular free dress days. · Shirts - solid, striped, floral or patterned shirts and T-shirts are fine. Shirts with offensive pictures and/or sayings are not permitted. Athletic jerseys that fit appropriately are allowed. No tank tops, spaghetti straps, cropped/midi tops, or transparent shirts. · Shoes – flip-flops and sandals without a backstrap are not allowed. On Friday, December 21st, Chartwell students, staff and faculty will prepare a lasagna dinner for the people served by Dorothy's Place. Please consider donating items listed on the attached form. Just fill in your name next to the item you'd like to donate and send it in by Monday! Thank you for generously supporting our community this holiday season. By all accounts, the Chartwell Film Festival is a huge success! The Awards Ceremony will start in just a few minutes and we will update you on the winners. o Please donate non-perishable food items to fill Food Bank donation barrels. o The food will be distributed to needy families. o The list of suggested foods to send in include: cans of soup, chili, beef stew, tuna, chicken, ham, beans, vegetables or fruits; non-breakable jars of baby food, peanut butter, jelly, fruit juice; bags of rice, noodles, ramen, pasta, beans, flour, sugar, Harina de Maiz, etc. o You may also want to make a tax-deductible cash donation to the Food Bank; for every $1 donated, the Food Bank provides $5 worth of food. 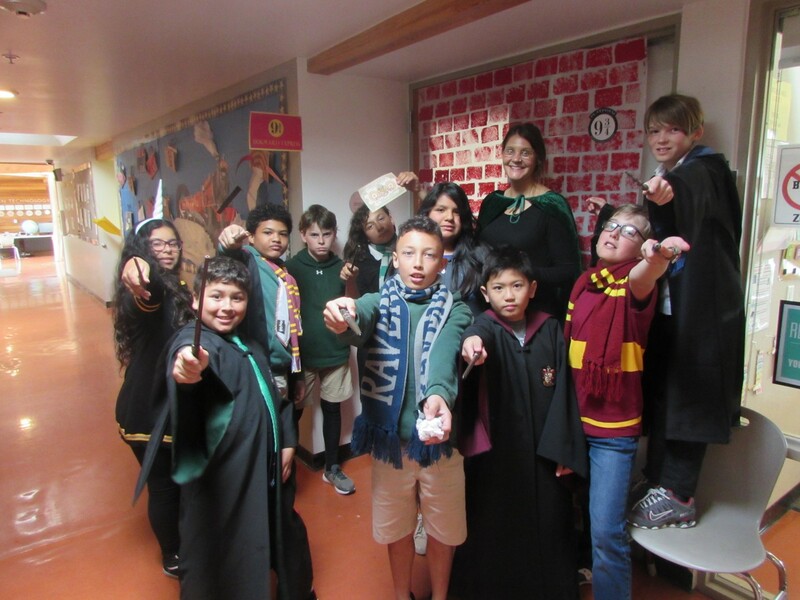 o Monday December 17 is a special themed School Spirit Day, brought you by the Lower School Student Leadership Team! o ADHD and anxiety can occur together. When that happens, how can you as a parent effectively support your child? Learn to recognize the difference and some strategies that you can use at home and at school to make life better for your child. Presented by Chris Harris, MEd, Director of EBC Schools at CHC, and former head of Chartwell School. I hope everyone had a wonderful Thanksgiving week holiday! Students have settled back in school and we’re prepared for the next four weeks of teaching and learning before Winter Break. o Free dress day is the last Wednesday of each month. Students who receive 2 or more dress code violations during any given month will not be eligible for free dress that month. Families will be individually notified in this situation. o Pants - any pants, shorts or jeans as long as they are not too baggy, too tight, ripped or torn. Pajama pants should not be worn on regular free dress days. Capri pants and shorts are fine, but no short shorts please. Skirts are fine, but no miniskirts. o Shirts - solid, striped, floral or patterned shirts and T-shirts are fine. Shirts with offensive pictures and/or sayings are not permitted. No tank tops, spaghetti straps, cropped/midi tops, or transparent shirts. Athletic jerseys that fit appropriately are allowed. o Shoes – flip-flops and sandals without a backstrap are not allowed. · Friday is a special themed Spirit Day! o Sports day: Students are encouraged to wear sports gear with jeans. Celebrate your favorite sports team and wear your sports gear. o This idea for spirit day is brought you by the Lower School Student Leadership Team. § ADHD and anxiety can occur together. When that happens, how can you as a parent effectively support your child? Learn to recognize the difference and some strategies that you can use at home and at school to make life better for your child. Presented by Chris Harris, MEd, Director of EBC Schools at CHC, and former head of Chartwell School. 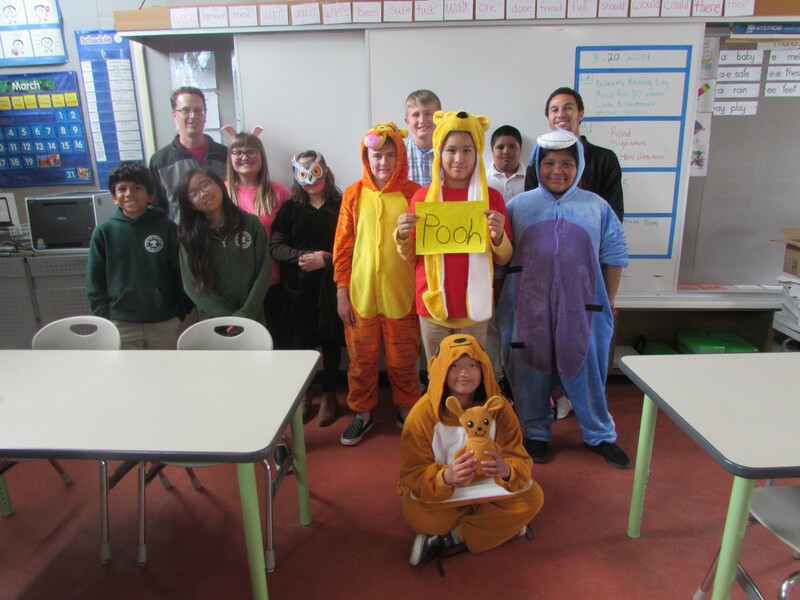 · Chartwell Students raise $507 for the SPCA! o Two students from Mr. Swift’s homeroom, Zander and Kash, created and led an initiative to raise money for the SPCA. o First, Zander and Kash created a poll and invited students to vote for which charity to raise money. The SPCA got the most votes from lower school students. o Then students voted on the method used to raise money. The idea of an ice cream sale won. o Over three days Zander and Kash, with the help of a few teachers and staff, sold ice cream at lunch. The sales totaled $507! o As an incentive, the two students pitched the idea that if students bought at least $8 worth of ice cream, they could receive an extra free dress day. o Next week there will be an extra free dress day for eligible students. I will confirm the day with you later this week. · The Chartwell Film Festival is on Friday Dec. 7th from 10:00 A.M.- 2:00 P.M.
o You are invited to attend! o The Festival will screen four films produced by high school student production teams. o The films will be shown “festival style” in classrooms so that audience members may rotate during the day and choose the films they wish to attend. o At 1:00 PM, there will be an awards ceremony in McMahan Hall. o Interesting article about multi-player games (like Fortnite) and kids with social skills challenges. Parent Workshop: ADHD, Anxiety or both? o What is Veteran’s Day? o What is Thanksgiving? The British perspective…. · The Chartwell Film Festival on Friday, Dec. 7th from 10:00 A.M.- 2:00 P.M.
o Topic: ADHD, Anxiety or Both? · We had a great turn out for the Friday Parent Workshop. Here is the slide deck and videos regarding RULER. · Click here for the presentation slide deck in .pdf format. o RULER acronym explained - video for RULER at home. § Improve RULER, and our ability to speak and listen from the heart when we are engaged in talking about feelings and conflict resolution within groups or students. § Provide a new structure for HS Advisory Students to communicate with each other, set norms of behavior for their Advisor and School, and provide a protocol for communication. § To begin a whole school culture transformation whereby best practices of Restorative Justice can be incorporated into our Learning Community. § The Way of Council is a way of building community and communication skills for people within the community. We are in partnership for a series of faculty professional developments this year with Circle Ways, click here to visit their website. 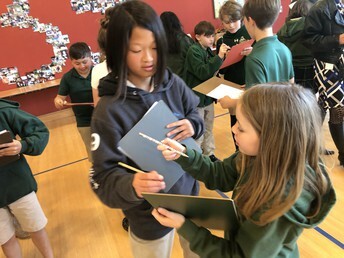 o Sustained faculty professional development at Chartwell revolves around a deep understanding of the Growth Mindset as first researched and defined by Stanford Professor Carol Dweck. o Teaching the Growth Mindset is where the “rubber hits the road” in the daily learning conversations Chartwell Faculty have with your children. It’s less about a program and more about living it through experience, both positive and negative and “coaching” of students from teachers. o This is a part of the Lower School Student Report, marked 3 times per year and reviewed at the Parent-Teacher Conference. The high school embeds these concepts in Advisory. 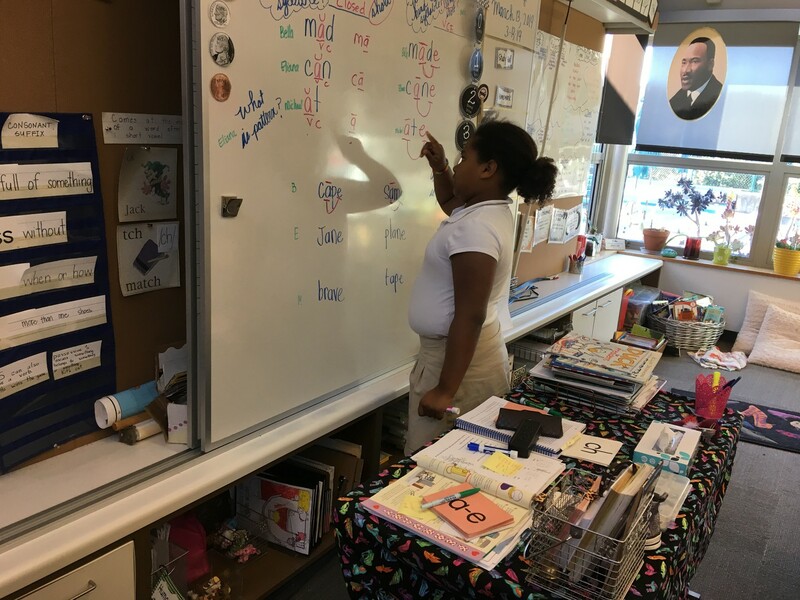 o Lower School homeroom teachers review this with students during Flex time and use a worksheet to help students set goals. o See the research of University of Pennslyvania Professor Angela Duckworth. o And more Professor Duckworth here. · This is Parent Conference week. Wednesday, Thursday and Friday are ½ days with 12:00 dismissal. · If you have not received your report via email, contact Crissy at cmaras@chartwell.org or 394-3468. · If you do not know or remember when your conference is scheduled, contact Crissy. · It is also Book Fair week. Please stop by and browse the great selection. · No After School Homework program Wednesday, Thursday and Friday. 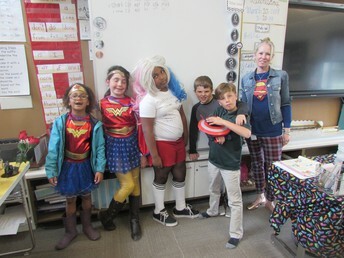 · Wednesday is Halloween and Lower School students are allowed to dress in costume. o Costume restrictions - no weapons, face paint or hair dye. Please save the elaborate make-up for the evening trick-or-treating. Students may bring their masks to school, but are not allowed to wear them indoors or during class time. Hair must be the regular, natural color at school on November 1st. Also, students should be able to move freely and easily in their costumes. · Thursday is Free Dress for the Lower School. 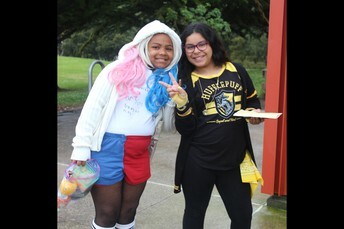 As the last Wednesday of the month is Halloween, Free Dress is instead scheduled for Thursday. · No School Monday, November 12 in observance of Veteran’s Day. As you know, today (Wednesday) is the last day of school this week as we start a mini-Fall break. School resumes Tuesday, October 16. · Wednesday, October 31, Thursday, November 1, and Friday, November 2. · These are ½ days for the whole school - Lower, Middle and High School. Students will be dismissed at 12:00. · You will receive information on how to sign up for conference times next week. · Conferences are 40 minutes in length and are led by your child’s Homeroom/Language Arts teacher, or for High School students, by the Advisor. · Supervision for your child is available during your conference. · The conference focuses on reviewing goals for the year established in your child’s Chartwell Education Plan (CEP) as well as progress and observations so far this year. · You will receive a packet of information via email including a report on progress as well as the CEP by Friday, October 26. · It is not too late for you or a friend to register for the Fall Teacher (and tutor) Training Institute. · Full details and registration information here. · The workshop will be followed by the Parent Conversation where parents will have the opportunity to discuss the workshop topic and other topics the groups wish to discuss. Chartwell will provide supervision for your children during the Parent Conversation. · Building community, please join us in McMahan Hall to kick off Halloween with Disney’s movie Hocus Pocus on its 25th Anniversary. Bring your beanbag and comfy clothes and we will provide the yummy popcorn. This is a fun family event. · See the school in action and LIKE us on Facebook, click here. · Follow Chartwell on Instagram! · Don’t forget about our website, where we archive a copy of these weekly messages, The Bulldog Bark, and have many more parent resources. I am writing to you LIVE from the morning after the great Chartwell High School tradition of the All-Nighter! 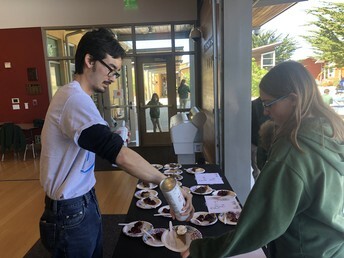 We had a good turn out and the students worked hard at living up to the name of this wonderful community building event - and staying up all night! Chartwell High teachers Randy Postadan and Greg Higashi are making breakfast, and students are now rousing themselves, following their noses to the smell of fresh bacon and pancakes on the griddle. As for me, I am gulping down my second third cup of coffee and reflecting back on the first All-Nighter in 2011 and in general the remarkable nature of Chartwell High: one of only a few high schools envisioned from the beginning as a project learning school designed to unwrap the potential of unique and creative young people. While the All-Nighter is a community building tradition and just plain old fun, it also helps students become accustomed to working and living with each other outside of the confines, structure, and routines of daily school, and prepares them for the immersive Field Experiences. 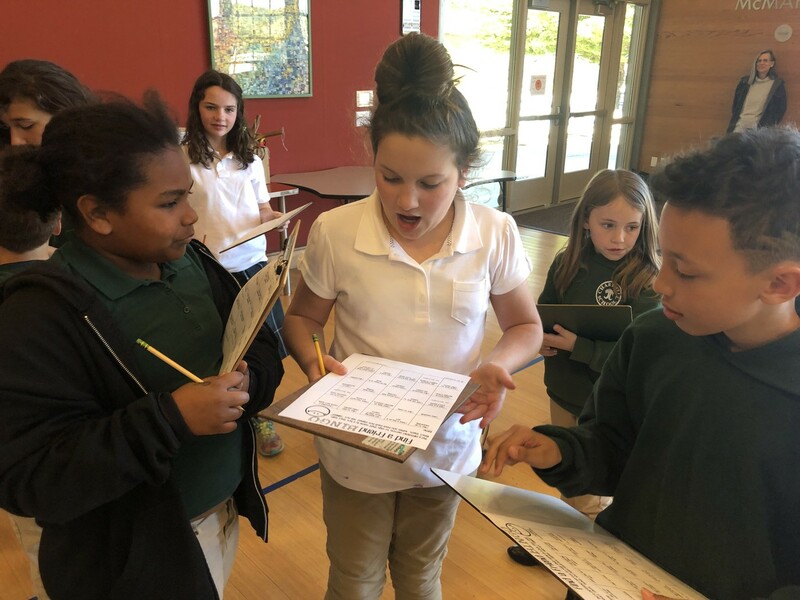 Field Experiences are an integral part of the educational design of the school where students extend and apply their learning beyond the four walls of the classroom. Field Experiences typically help answer the “Driving Question,” which guides the exploration of the theme of the project period. 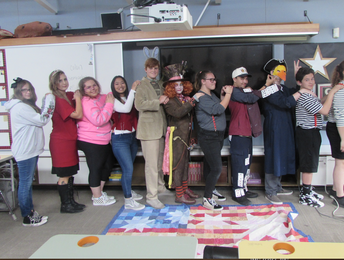 And speaking of Field Experiences, Chartwell High students and faculty will embark upon a field experience to Ashland, Oregon, and the Shakespeare Festival as they work to conclude Project Period 1, Perspective: how does my perspective construct my reality? Students depart Monday, October 1 and return Thursday, October 4. High School families can expect another email this week with more details. · Mr. Swift will conduct the seminar in the Library. · Put it in your calendar, with an alarm, so you don’t, um, forget…..
· Come and celebrate 35 years of a school dedicated to the proposition that Not All Great Minds Think Alike. · Free for the whole family! · Food, Music, Games, and FUN!! 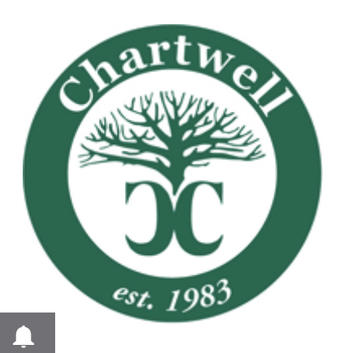 · Why is Chartwell School successful? Because at our core, we are really good at teaching reading to the 1 in 5 learners who process language differently. · Have you ever wondered how we do it? Would you like to learn how or do you have a friend who is a teacher or wants to acquire the skills to be a successful reading tutor? · Attend the next Chartwell Teacher Training Institute and learn the “secret sauce” of Chartwell School, our Orton-Gillingham (OG) based reading instruction program. This intensive course is taught by Chartwell Academic Dean Jodi Amaditz and Chartwell Teacher Billy Swift. · You will not only learn the theory of how and why this well researched and proven method works, BUT you will also have the opportunity to practice your newly acquired skills under the supervision of Chartwell School’s OG doyen and Master Teacher Judy Gaughf. · As we continue to develop ourselves as a Lab School, we’ve created a Lab Classroom under the supervision of Mrs. Gaughf, where TTI participants can earn the Level 1 Certification in Structured Literacy through the practical application of teaching reading to a small group of Chartwell students. 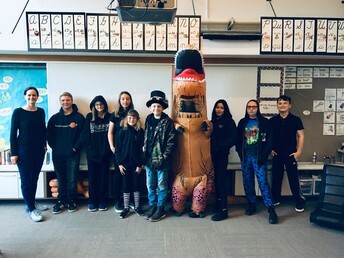 · The Homeroom of Mrs. Price, Mr. Whitman, and Ms. Chavez will embark on their own field experience to extend their learning of the Egyptian Civilization. · Wednesday, September 26th, all day. · Several parents have volunteered to drive and Crissy will be in touch with the final details. 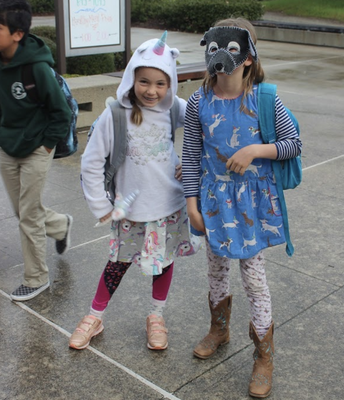 Lower School Free Dress Wednesday! · Free Dress days are typically the last Wednesday of every month. · Students who receive notification of 2 or more dress code violations during any given month will not be eligible for free dress that month. o Pants - any pants, shorts or jeans as long as they are not too baggy, too tight, ripped or torn. Capri pants and shorts are fine, but no short shorts please. For girls: skirts are fine, but no mini skirts. Pajama pants should not be worn on regular free dress days. o Shirts - solid, striped, floral or patterned shirts and T-shirts are fine. Shirts with offensive pictures and/or sayings are not permitted. Athletic jerseys that fit appropriately are allowed. o Shoes – flip-flops and sandals without a backstrap are not allowed. Uggs are allowed. o For girls: no tank tops, spaghetti straps, cropped/midi tops, or transparent shirts. Beginning this week the Bulldog Bark (aka Thursday Notice) will be inclusive of both Chartwell Lower School and High School families. As many of you know, Alyse LeValley, our longest serving Head of Chartwell High (which is now 9 years old) is beginning her maternity leave a bit earlier than originally planned. 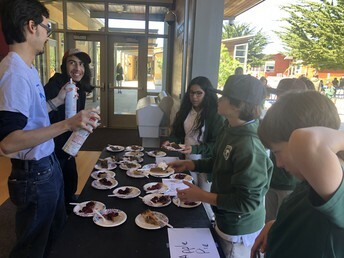 In addition to the ongoing work of the Lower School, I’ll be helping coordinate high school activities including project periods and field experiences as well as parent-teacher conferences. I will work with Kate Mulligan, Danielle Patterson, and high school students in promoting good choices and behavior, and we may be in touch with you should the need arise when we need to work as a school-home team to solve problems. I am happy to say that I will be helping to produce and chaperone the High School All-Nighter! This annual Chartwell High tradition will take place this coming Friday night (all night!) and Saturday morning in McMahan Hall. I’ll be hosting along with Faculty members Randy Postadan and Greg Higashi. Other High School teachers will join at different times. I am looking forward to the community cooking of dinner, funny and scary movies, video games and just an all around good time! It was a very busy and successful week for the school! Events included a presentation on our new partnership with the UCSF Dyslexia Center, the middle school (7th/8th grade) going to Mt. Hermon for team building and a high element ropes course challenge, and an all-school picture day and Back to School event, with a family BBQ! This was the first time we did an all-school Back to School, both LS and HS, AND included the students! Many teachers commented about how great it was having the students with families at Back to School night. What did you think of Back to School and the Family BBQ? Click here to take a short survey. It will help us think about planning this event next year. 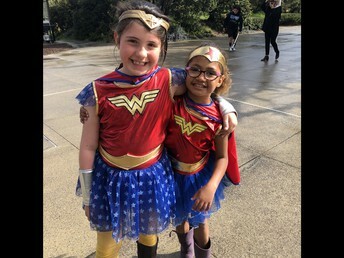 Many of you have already heard that this year our major Social-Emotional Learning (SEL) initiative is introducing The Way of Council into the Chartwell Learning Community across all the grades. The Way of Council is a way of building community and communication skills for people within the community. We are in partnership for a series of faculty professional developments this year with Circle Ways, click here to visit their website. SEL has been a core component of Chartwell School for decades. In recent years we have successfully introduced a set of programs across the grades to bring research-based curricula, structure, coherence and robust faculty professional development to our approach. For HS students, currently driven independently by Advisors as we collaborate on determining best practices. Improve RULER, and our ability to speak and listen from the heart when we are engaged in talking about feelings and conflict resolution within groups or students. Provide a structure for HS Advisory Students to communicate with each other, set norms of behavior for their Advisor and School, and provide a protocol for communication. To begin a whole school culture transformation whereby best practices of Restorative Justice can be incorporated into our Learning Community. 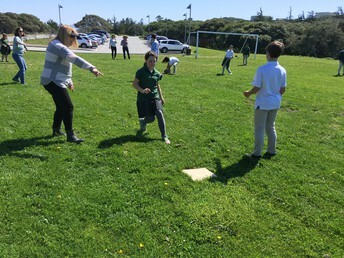 Teaching the Growth Mindset is where the “rubber hits the road” in the daily learning conversations Chartwell Faculty have with your children. It’s less about a program and more about living it through experience, both positive and negative, and “coaching” of students from teachers. This is a part of the Lower School Student Report, marked 3 times per year and reviewed at the Parent-Teacher Conference. The high school embeds these concepts in Advisory. Lower School homeroom teachers review this with students during Flex time and use a worksheet to help students set goals. See the school in action and LIKE us on Facebook, click here. Don’t forget about our website, where we archive a copy of these weekly messages, The Bulldog Bark, and have many more parent resources. Teachers will talk about the class, what the goals are, what students are working on, expectations, and other things you need to know. Back to School night is not the same as Parent Teacher Conferences and teachers are not able to talk to you individually about your child. Siblings (over the age of 5) are welcome, we will have a supervised activity set up in the Library. Students have their pictures taken during the school day. ALL SCHOOL Parent Presentation led by Dr. Marilu Gorno Tempini, a Neuroscientist from UCSF to explain the partnership and describe how Chartwell Students and Families can participate in this ground-breaking research on The Dyslexic Brain. Carpools are nearly finalized. 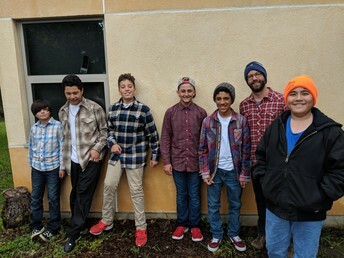 If you live in the North Monterey Bay, Watsonville up to Santa Cruz, you will receive an email about a meeting place and time for the Santa Cruz carpool which will go directly to Mr. Hermon. The Chartwell Carpools will arrive back at Chartwell late, after school. We anticipate students returning at 5:00 PM. I will be at Chartwell waiting for the students to return. I will be in contact with the teachers and will contact families if the pick up time changes. Visit our table at the Monterey County Fair today, Sunday! Meet in McMahan Hall for fresh coffee and a chance to get to know our parent community and Head of School. You and your child will start in Homeroom and spend 10 minutes in each class. Siblings are welcome, we will have a supervised activity set up in the Library. Stay after and have dinner at the Family BBQ! Homeroom teachers will send a permission form and provide more information this week. We are looking for drivers. If you are able to drive, please contact Crissy. Join Head of School Kate Mulligan for fresh coffee and a chance to get to know our parent community and Head of School. It's a friendly group and an easy way to meet other parents! 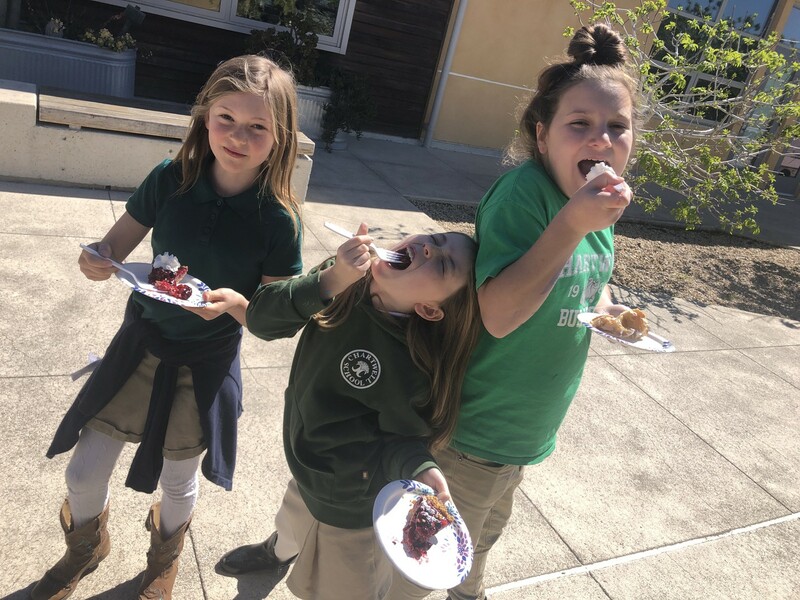 It is wonderful to see the school spring back to life with the presence of your children! We are off to a good start! Do you want to see? You will visit all your child’s classes, with your child! Instrumental musicians and drummers welcome, too!